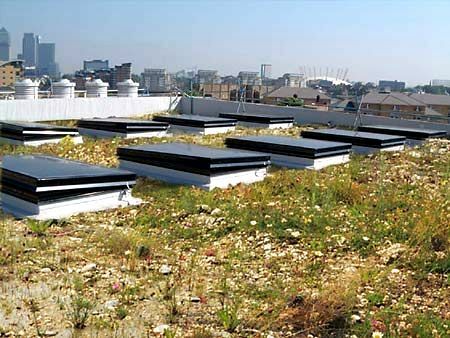 Located in the Thames corridor in London, the Deptford Creek area now has several brown roofs. 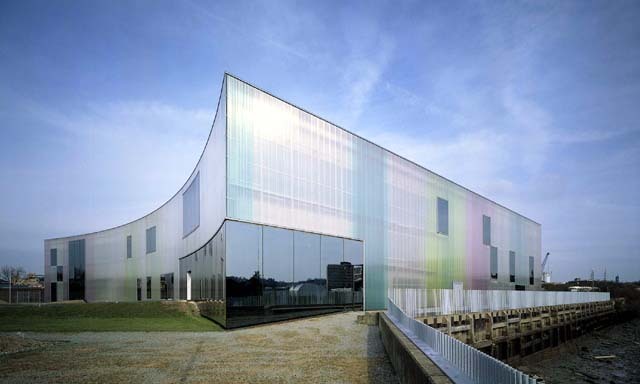 The first and most famous of these is the roof of the Laban Dance Centre by Herzog & de Meuron. 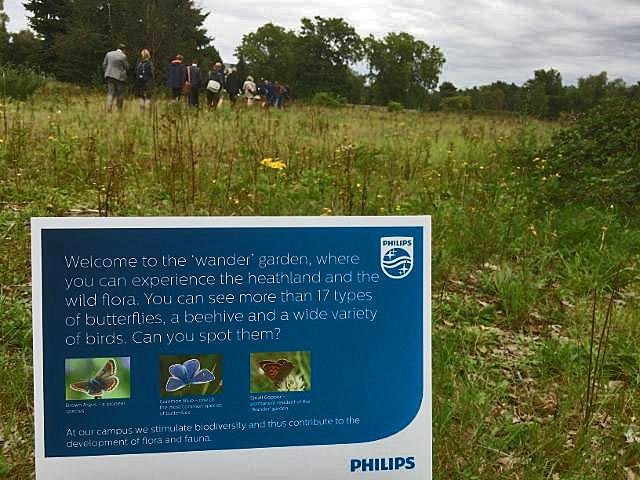 Before the redevelopment of the area, the brownfields with a lot of debris and bricks had become the habitat of various rare plants, insects and birds, including the black redstart. When the declined area was redeveloped and new buildings were constructed, the roofs were covered with crushed concrete and loose bricks from the demolished buildings that once stood there. Between this substrate and the waterproofing layer, there is only a 10-milimetre water storage membrane without drainage. The resulting biotope has characteristics similar to those of the original ‘brown’ terrains. 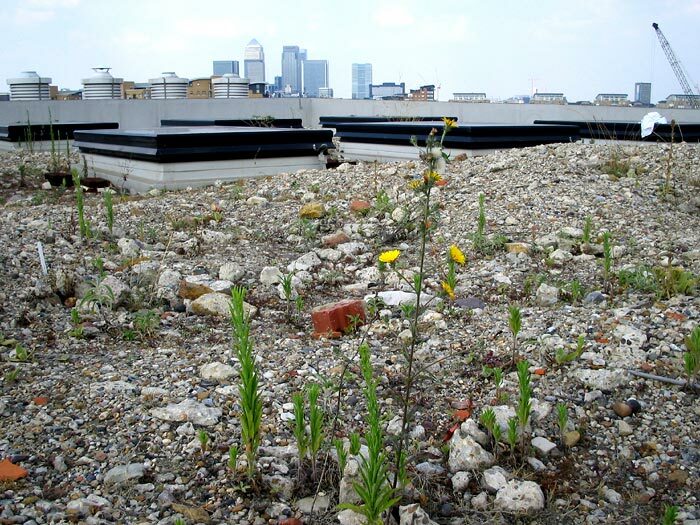 The vegetation was not sown, but has gradually taken over the roofs. 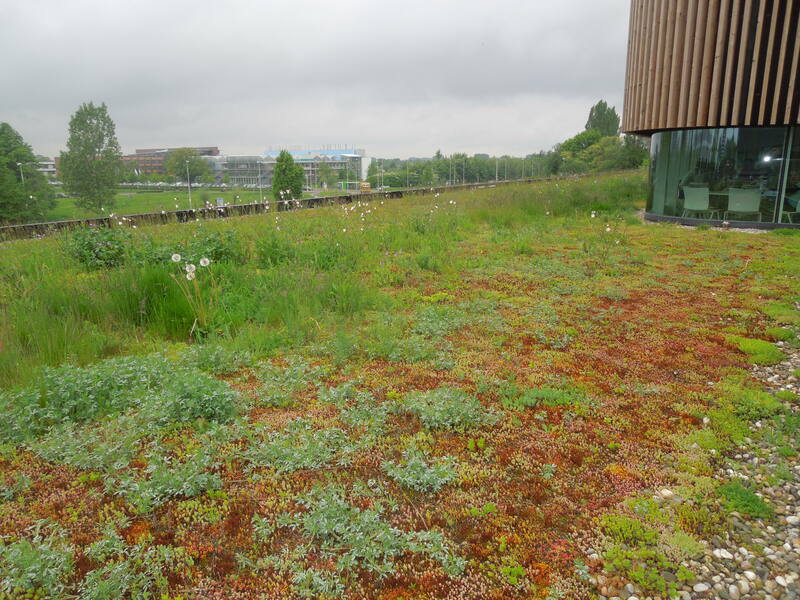 By now, more than a hundred plant species have colonized the roof and some rare insect species are found there. The black redstart is doing well in its new rooftop habitat.